The Bristol Bears will host Saracens in Round 19 of the English Rugby Premiership. The newly promoted Bristol Bears are doing pretty decent this season, as it was expected given the investments made last year. Bristol is currently 9th in the standings with 6 wins and 12 losses, and unless a miracle happens they will finish safe from relegation but outside the Champions Cup places. The hosts are on a two match losing streak and will try to avoid losing a third, but it will be a difficult task against the mighty Saracens. The Sarries are currently second in the standings and it looks like that`s where they will finish – earning themselves a home semifinal. The visitors have won their last two games, but on the other hand they are riding an ugly 4 game losing streak away from home in the Premiership (after winning their first 4). Saracens has a massive game coming up in the Champions Cup against Munster next week, so they will give a rest to a few players in this clash. Bet on Bristol Bears v Saracens and get your 100% (120 Eur) freebet at LSbet now! The Bears will make 5 changes to the lineup that lost against Bath last weekend. Saracens will rest England captain Owen Farrell, while Billy Vunipola, Jamie George or Maro Itoje will be on the bench. Saracens: 15. Alex Goode (co-capt), 14. Sean Maitland, 13. Marcelo Bosch, 12. Nick Tompkins, 11. Alex Lewington, 10. Max Malins, 9. Tom Whiteley; 8. Jackson Wray (co-capt), 7. Mike Rhodes, 6. Calum Clark, 5. Will Skelton, 4. Nick Isiekwe, 3. Titi Lamositele, 2. Christopher Tolofua, 1. Richard Barrington. With the Saracens having a massive game coming up next week and resting a few players, the initial thought is obviously to look at Bristol to get something here. However, I see it differently. Listen, the Sarries are the reigning Champions, won 3 of the last 4 titles and are still the best team in the country – certainly the deepest and most talented. The difference between these two clubs is so big that Saracens was initially priced at just 1.25 to win this match. News about them resting a few players with next week`s match coming up pushed the odds up to 1.50 and above. I think there`s value there. Even if this match is not so important for Saracens, in rugby you can not hide, and teams will always give it their all every match – especially a club such as the Sarries. The visitors will also want to stop that losing streak away from home, they definitely do not want to enter the most important part of the season on the back of 5 losses away from Allianz Park. Not to mention they aren`t mathematically assured home court advantage in the playoffs yet, so they still need to win one or two of their final 4 matches. As for resting a few players, the team is still exceptionally solid, and the bench is out of this world for this game. The usual substitutes which have been named to the starting XV will bring extra energy to prove themselves, so the starting lineup is actually a perfect mix between established stars and a few hungry backups. For what it`s worth, Saracens defeated Bristol earlier this season 44-23 at home. I think the odds got a bit out of control and went too far up. Even in these circumstances, 1.45 or higher for Saracens to beat Bristol is an excellent price in my opinion. Look for the Sarries to impose their superiority, and if they struggle, the strong bench should make the difference. My tip will be Saracens to win. 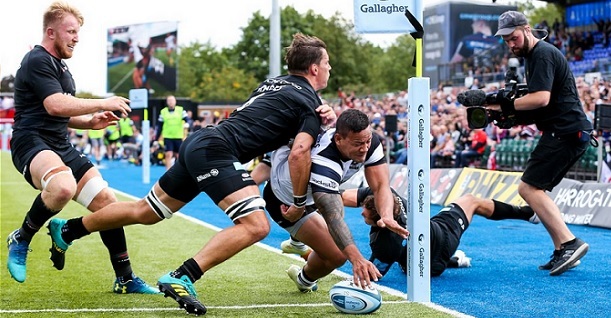 Prediction: Bristol Bears – Saracens 25 – 31.